The non-perishable food items on our needs list can be purchased locally. If you would like to do this, please enquire with the guest services department upon your arrival. “Dame Una Mano DR” is a far-reaching project that seeks to promote the healthy development of disadvantaged children and adolescents. 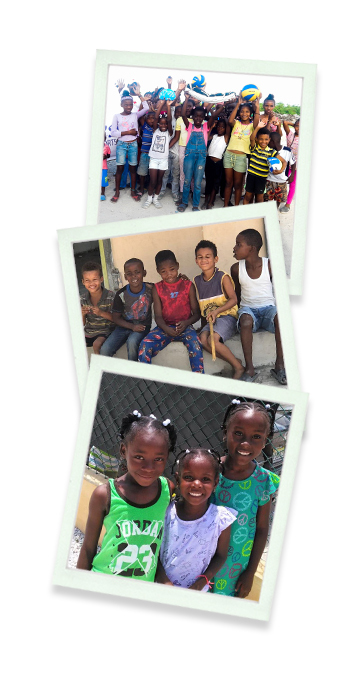 Unfortunately, in most of the areas of the Dominican Republic, schools do not have all the supplies that are needed to properly educate their students. We deliver supplies to the communities of the Punta Cana/Bávaro area and surroundings that need it most. Over 400 children from ages 2 through 16 years old have benefited so far from this project that started in January 2018. We expect to reach out to other communities with the help of our guests and employees. Dame una Mano RD is a project that influences and affects extensively people with limited resources and disadvantages; its purpose is to provide a helping hand to those in most need. With this project, our mission will be to deliver basic necessities and personal hygiene articles to a non-profit Nursing Home. These institutions are totally dependent on humanitarian aid because they do not have the resources to supply these items. More than 50 seniors and chronically ill patients will benefit from this project that began in January 2018.